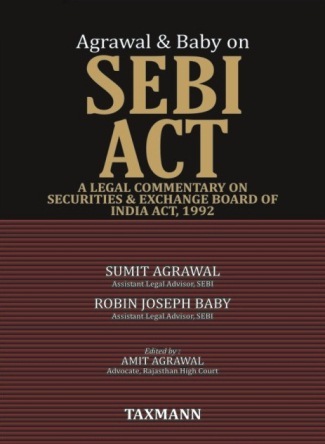 First comprehensive legal commentaries on the SEBI Act, 1992. The section-wise study of the statute includes extensive reference to judicial pronouncements and their analysis, the recommendations of various expert committees, comparative study of similar powers of other regulators - both domestic as well as foreign. The book also chronicles the evolution of securities law in India and provides insights on the road ahead.